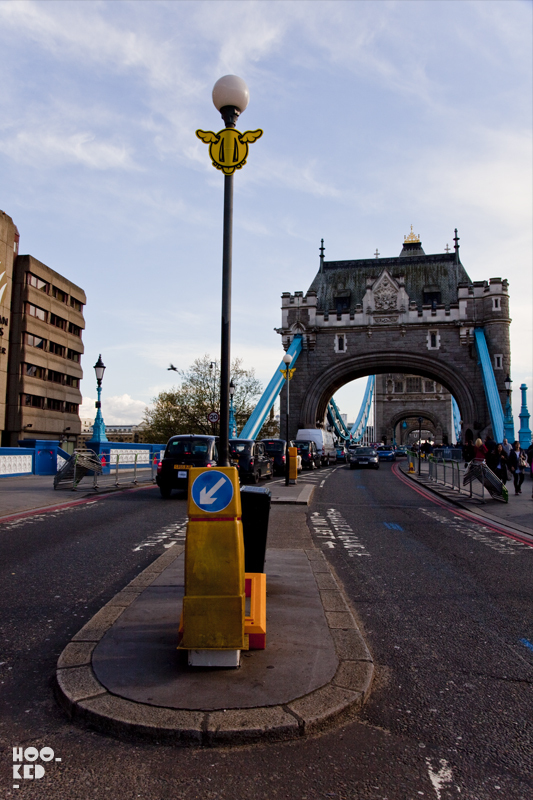 Hookedblog found ourselves in South London this afternoon and what with all the road works and barricades going up in advance of this years London 2012 Marathon, we headed back to East London via Tower Bridge. 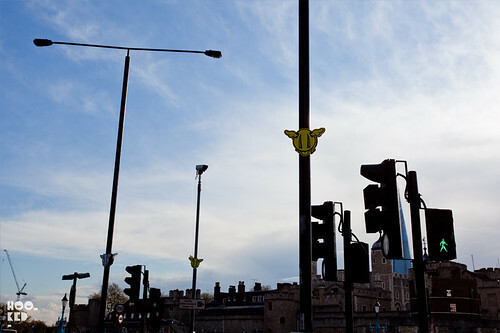 Not a route we would usually take and one that we would not walk often but as we crossed the bridge it was hard not to miss the army of signature D*Dog characters of London street artist DFace, which appear to have taken to the skies! 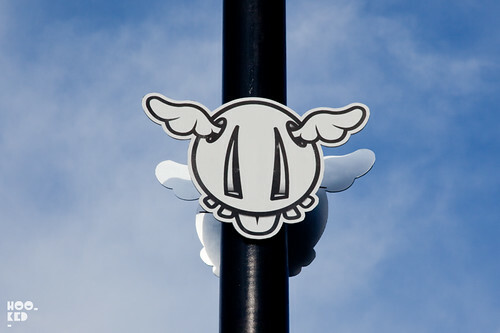 The cutout D*Dog characters were attached to various street lamp posts and congestion/security camera poles and the white and yellow screen printed works really popped out against the blue evening sky. 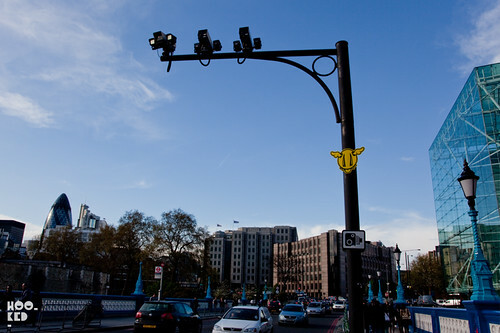 Attached just above street level to be visible from the pavement but high enough a to be outta reach to those wanting to take one home the works lined the entire length of Tower Bridge from the south side across the river heading into East London, a route which also happens to be part of the Marathon route! Keep your eyes peeled if you are in the area, if not here are a selection of pictures we took.